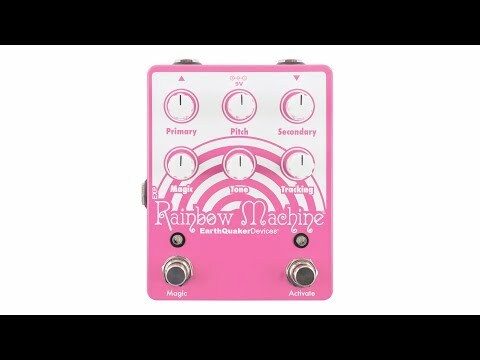 Welcome to the Rainbow Machine, in all its synthetic glory! This one is for experimenters, adventurists, and noisemakers. Totally not for purists and/or tone hounds. There are no “natural sounds” that come from this box. It takes modern DSP and uses it as a tool of future past to create real-time pitch shifting using digital oscillators.